Add a touch of glamour to your bedroom, dressing room or studio with our Venetian Mirror Finish Hollywood (Grand). Fast delivery. Amazing customer service and totally in my new Hollywood mirror. Thank you. 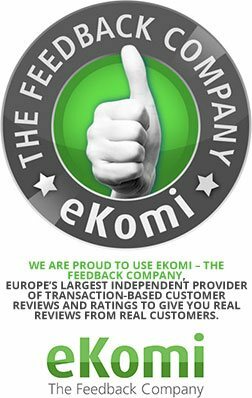 Absolutely beautiful product, great customer service. Overall delighted with my purchase and would definitely recommend! Completes my dressing table. Gorgeous mirror! Delivery was quick and well packed so no damage. Finish on the mirror is lovely! Would definitely recommend anybody to buy one of these mirrors! 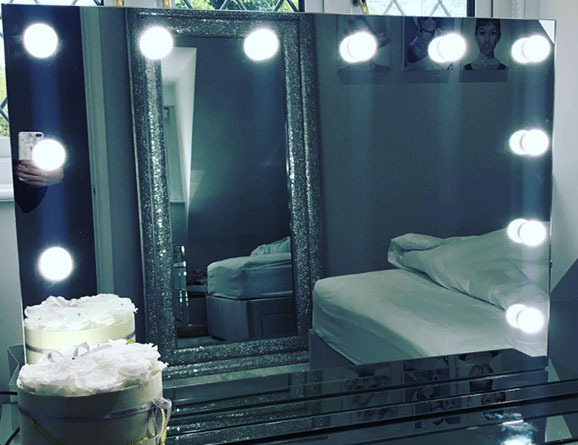 Check out Jess Wright's glamorous beauty shrine pulled together with this Grand Venetian Hollywood Mirror, with a gorgeous Mirror-finish that oozes style and provides maximum light coverage perfect for applying makeup! 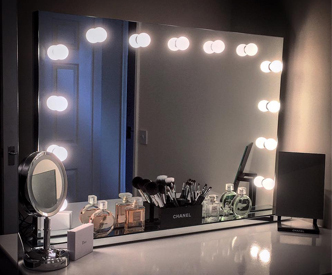 Jess says, "Finally somewhere civilised, organised & the perfect lighting for me to do my make up!". "...The perfect lighting for me to do my makeup!" 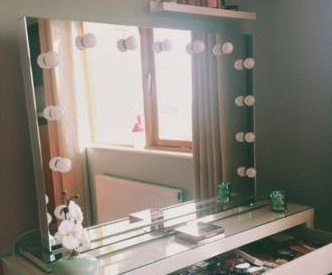 Check out Jill Foran Barrett and Janet Su Unwin who opted for this chic Venetian Mirror Finish Hollywood that oozes elegance and provides maximum light coverage perfect for applying makeup!